All those postings about the VA Beach Palmettos made me wonder. By my reckoning, I would say marginal from the southern tip of the Delmarva south and west to Raleigh to Charlotte to Atlanta to Birmingham then to the Mississippi Delta to around Texarkana. Perhaps even a little north of this in favorable microclimate such as urban Little Rock and Memphis. In other words, corresponding with the northern limits of CHZ 8 or wherever Sabal minor would occur naturally. LA and FL would be the only states where it can be grown anywhere but MS and SC would come close. I agree with Raleigh as marginal. They survive most winters and many reach flowering size, but not many seem to last long enough to get truly large. Raleigh/Charlotte and other 7b areas of the Piedmont are pretty much hit or miss for Sabal palmettos. As for the Delmarva, I would imagine there would be microclimates suitable for them in Ocean City, MD or along the Chesapeake Bay. Keep in mind that the hardiness of Sabal palmettos drastically variable depending on the location. Sabal palmettos from BHI should be bulletproof in zone 7b. There was a Sabal palmetto from BHI at Raulston Arboretum in Raleigh, but was killed last winter. strange. this 5 year old from a hurricane cut one survived in raleigh . Spartanburg SC is the furthest north I've seen Sabal palmetto in SC. There's many mature live oaks as well. The palms seem to do great. strange. this 5 year old from a hurricane cut one survived in raleigh﻿ . That is encouraging! But I think it teaches a lesson that the Bald Head Island palmettos may not be among the most cold-hardy populations simply because they are the northernmost. There are several reasonable scenarios for how that population might have gotten established, such as long distance dispersal, or floating in the ocean on debris, possibly starting as a single seed. Cold tolerance of the population would largely depend on the genetics of the founder, which may not have been particularly cold tolerant. That Sabal palmetto looks like it’s been there for a long time. I wonder what the age is? It has gotten cold enough on BHI to kill off some of the Sabal palmettos. I think the last time that happened was in the early 1900’s. The year without a summer. Oooo if only I could grow them in Maryland! I’m actually thinking about trying Sabal Uresana “Higlands”. Though it’s very small right now and I may or may not keep it in a pot for a while. I've seen Sabal uresana at the arboretum in Raleigh which is a 7b climate. I'm pretty sure Ocean City, MD is too far north for Sabal palmettos. They might have a fighting chance around the southern tip of the Delmarva peninsula. I saw that you said that somewhere when researching the palm. It got me reeaaaaallllly intrigued haha. What’s the average climate of that area if you know? And how severe was the cold snap? Thanks! The coldest it got last year in Raleigh was 4°F, but most years the city won’t go below 10°F. I would imagine that your microclimate is similar to the NC piedmont. Just keep in mind that cold spells in 7b NC don’t last as long as they do in the Mid-Atlantic. One thing about growing palms is that it never hurts to experiment. So go ahead and try a Sabal Uresana in Maryland, I just recommend that you plant it in a protected spot. You may also be able to grow Sabal palmetto, but I am not too sure how their hardiness compares to Sabal Uresana. Maybe someone can chime in on that one. I was hesitant to list Raleigh even as marginal given they are quite inland. But you do have that one in the photo that looks okay. Perhaps its safer to say east of your I-95? Still would like to hear from any folks around say Little Rock and Memphis who have had any luck with Sabal palmetto. I used to think that anywhere north of Shreveport or Jackson, MS would be pushing it but considering how these things survived the great freezes of the 80s in the deep south quite okay cant see why they couldnt take it a little farther north now provided winter cold is not prolonged. Raleigh is right on the line between 7b and 8a. There are a few nice 8a microclimates within the city though but most of Raleigh remains 7b, except for some suburbs southeast of the city which are 8a. I'm hoping to shatter that with the Palmetto @frienduvafrond sent me! The farthest north I have seen was in Sussex county Delaware but the guy/girl who owned it fried it with lights thinking they were protecting it. They actually tried to plant them here a few years back (just a few) that were Florida transplants, but by the time it was Winter they only had one or two fronds that actually grew and got zero extra care and died. Sabal palmetto was my gateway drug into the palm world, I feel like I’ve read all there is to read about them, one article I stumbled upon said that a few were planted in NYC for some sort of major event and some managed to survive for a few years before they all eventually perished, this article was decades old and included pictures (black and white), I wish I could find it. NYC is primarily 7b with small pockets of 7a and 8a. I am planting a cold hardy Palmetto this year but I just hope it lives for a few years. We'll see how it does. 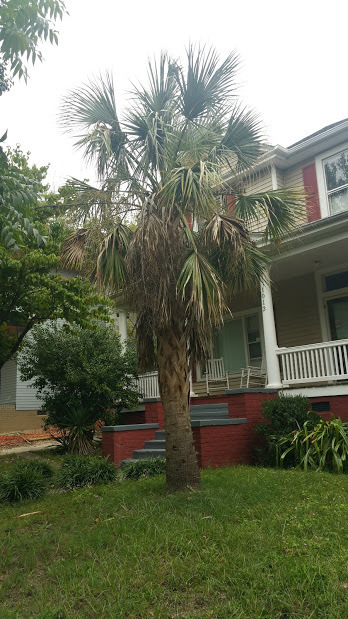 I once saw Sabal palmettos outside of a restaurant in Richmond. I bet they're all dead now. I spent one year in Poolesville, MD. I planted a sabal louisiana in early fall, and it made it through -3F (or so). I dug it up and moved it to Southern VA. It still resides in VA at my old house. I have palmetto seeds I collected this year from an palmetto that has seen below 0F in Albemarle, NC. Came off a tree near Calabash, NC decades ago (where I was supposed to inherit a house. that's another story). I personally think that sabal palmetto used to grow much further north than it does now, but the past few centuries/millennia have been abnormally cold. Palms used to grow both in the Arctic and the Antarctic - many fossils have been found. We live in very cold times. 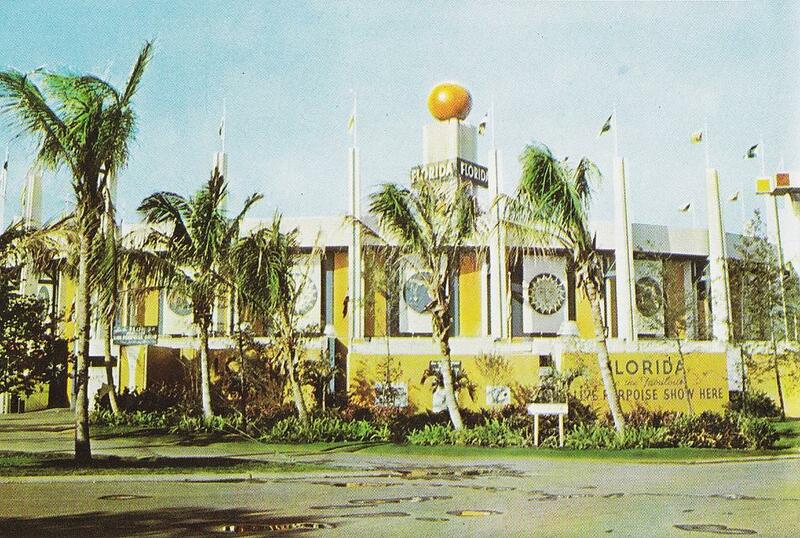 I do not think the question is how the palms got there, but why they survived there. BHI must be the perfect microclimate - it is the furthest south point of North Carolina, and it is surrounded by water on all four sides, making it the last logical place the palms would be killed with cold weather. This idea that the climate is warming is very new. Maybe on average in the past 30 years we have been in a brief warming trend (that trend ended years ago), but in general, we've been cooling for millennia. I believe the reach of palms have died back dramatically in the past few centuries. Certainly versus the past few million years! It is true that the global climate was once substantially warmer that today, but that was millions of years ago. In the past two million years the global climate has been dominated by cycles of glacial and interglacial periods. During these past 2 million years, there hasn't been a time when the climate has been warmer than at present, but there have been many times that the climate has been much colder than today. We were still within the last ice age until about 17 thousand years age, then the climate warmed until about 10 thousand years ago. In the past 10,000 year, global temperatures were relatively stable until the current human-caused warming. This all matters because during the last ice age it is unlikely that S. palmetto could have persisted in NC. During the ice ages, the range of most or all of our trees contracted to the south and then expanded north as temperatures warmed. Considering that NC is currently a the limit of the cold tolerance of S. palmetto could not have survived here 15 thousand years ago. So the current population must have established fairly recently from seeds arriving from the south. Bald Head Island is the southernmost point in North Carolina, but with that said, Sabal palmetto can still complete it’s life span along the entire coast (at least up to VA Beach). I have seen Sabal palmetto regularly naturalize as far inland as Pitt County, NC and as far north as Virginia Beach. I am a strong believer that Sabal palmetto was once native as far north as Cape Hatteras and also once grew a little inland alongside the sounds and tidal rivers in our recent history (before the Civil War). I am almost certain that the current northernmost native stand of Sabal palmetto is actually in New Hanover County - not Brunswick. I'm sorry, I have to laugh at the arrogance of this post. You have absolutely no idea if any of this is true. What we know for a fact is that there have been times in the Earth's history when the climate was warmer, and there have been times in the Earth's history when the climate was colder. That's all we truly know. To say something as ridiculous as, "During these past 2 million years, there hasn't been a time when the climate has been warmer than at present" is absolutely laughable. Literally everything in your post is pure fiction. The amount of knowledge you don't know that you think you know is striking, and that mentality is dangerous. You have no idea what grew here 15,000 years ago. None of us do. There is currently a handful of wild sabal palmetto growing north of the aquarium by Kure Beach, so I believe you are correct. There are also some wild palmetto growing on Oak Island, and on Battery Island, both in Brunswick County that are north of BHI. We know that sabal palmetto can grow much further north than BHI. Why doesn't it go further north currently? My guess is it's not the way currents move, and its habitat is mostly confined to where the seeds flow. Otherwise, you're limited to what birds can spread, and I don't know if birds eat those palmetto berries with any regularity. There were reports of sabal palmetto in Hatteras a century or more ago. The literature I checked stated that its presence has been extirpated by humans, meaning there were probably a handful growing and they were cut down for reasons unknown. That's certainly a shame if true. I apologize if I sounded arrogant in that post. Let me explain the source of this information, because hopefully it can explain why I sounded confident about the statements I made. Studies of pollen in lake sediments in the coastal plain of North and South Carolina show that spruce (Picea) were abundant there 15000 years ago. They continued in the coastal plain of South Carolina until about 13,000 years ago. Today, Picea is common only in areas with cooler climates. The timing of these changes are known because of Carbon-14 dating. Even stronger evidence shows that ocean temperatures were much colder at that time. The concentration of Oxygen-18 in ocean water is directly related to water temperature. Water from the ocean gets incorporated into the calcium carbonate of the shells of a type of plankton called foraminiferans. These shells accumulate in ocean sediments, giving a long records of past ocean temperatures. This record also shows that the Atlantic Ocean was much colder 15,000 years ago than it is today. Scientists have used this approach to reconstruct ocean temperatures going back more than 100 million years. It is really fascinating and the science behind it is quite sound. There are records of coconuts reaching Onslow County, so it seems quite illogical that Sabal palmetto seeds have randomly stopped being carried to the NC coast. 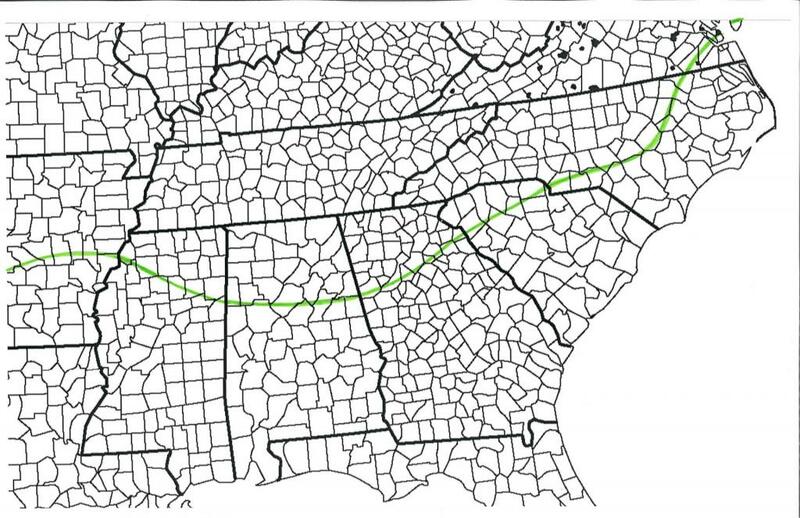 This is what I figure the arbitrary northern limits for the cultivation of S. palmetto would be like for the SE US. Just planted my palmetto from @frienduvafrond yesterday! Would have a few days ago but been out of town. Up against the house in an ideal setting of protection will hopefully protect it enough. 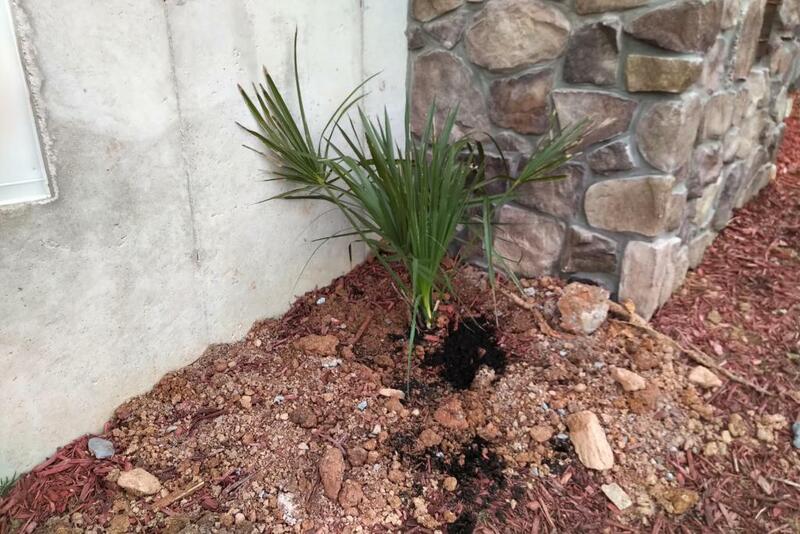 I'm planting a Sabal Palmetto ‘Mocksville’ this year. From what I’ve heard, to have the greatest success with palmetto, it should be planted when young so it gets acclimated to the climate. I’ve also heard that it’s hardiness is similar to Sabal Minor before it forms a trunk, but when the trunk starts to form, it’s definitely at least a zone 8a palm. I’m definitely protecting mine when I plant it. It’s my absolute favorite palm and although I would have to protect it every year, it’s worth it. I will avoid the silly, exhausting political rabbit hole of a topic like this, but I do enjoy when I see a thoughtful poster deliver quality evidence to support there statements. It is refreshing. No worries, my palms are all political independents. My cycads are a different situation altogether. My C. taitungensis and C. panzhihuaensis refuse to speak with each other because of disagreements over the sovereignty of the Spratly Islands. What a problem it caused when I planted a C. taitungensis x panzhihuaensis in my yard. I learned my lesson to not mix plants and politics. Yeah palmtalk isn't the place for politics or climate type discussions outside of the actual forecast and weather. It's the type of stuff that ends threads and causes too much heartburn.